"God can be present anywhere simultaneously, omnipresent. Similarly, there is no difference between God and His place. 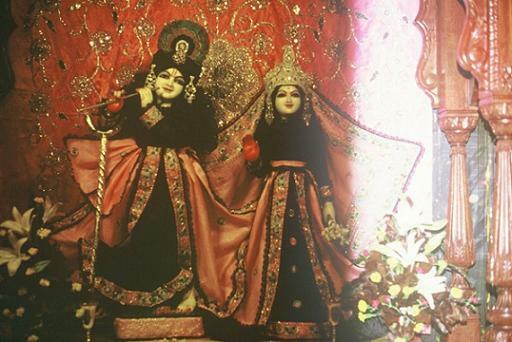 Caitanya Mahaprabhu recommended, aradhyo bhagavan vrajesa-tanayas tad-dhama vrndavanam. 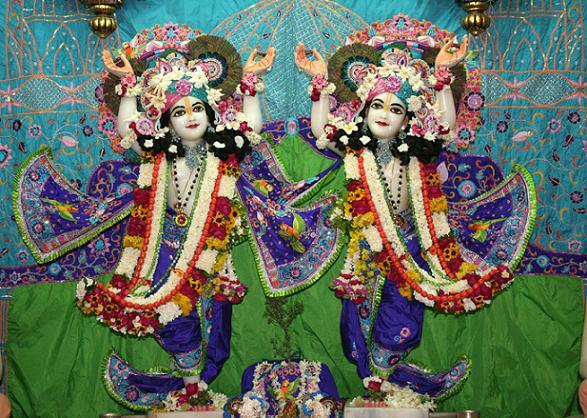 As Krsna is worshipable, aradhya, similarly His place is also aradhya, worshipable. So as He is all-pervading, similarly, His place is also all-pervading. So how things can be changed into Vaikuntha? That is by chanting the holy name of the Lord. Tatra tisthami narada yatra gayanti mad-bhaktah. So the bhaktas, they are also so powerful that by chanting the holy name of God, they make the supreme all-powerful Lord descend in that place. Therefore the statement of Bhaktivinoda Thakura that ye dine grhete bhajana dekhi, se dine grhete goloka bhaya... So we can change our home also into Vaikuntha. We can change our home. It is not difficult. Because as Krsna can be all-pervading, Vaikuntha is all-pervading. But we have to simply realize it by the authorized process. Everyone, we can change our home into Vaikuntha."